So Black Friday is done and gone, but there is still Cyber Monday and the entire cyber week to grab anything you couldn't get on Friday. We are back with another giveaway to help you get those gifts! Love Walmart and know the perfect gift to get from there? 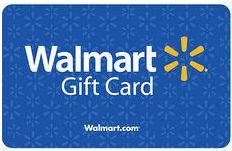 Then enter the giveaway for your chance to win a $25 Walmart Gift Card! Open World Wide. Ends Dec. 22. This giveaway is in accordance with FTC guidelines. Bloggers are not responsible for prize fulfillment. I learned that there is a Membership exclusively for college students.